Jonesboro Auto Salvage is your one-stop auto parts place. Established in 2003, JAS has worked very hard to establish a wonderful parts facility to accommodate every part you may need. Owned and operated by Brian Brown, JAS is one of the highest recommended salvage yards in the southeastern United States. We specialize in used cars, trucks, SUVs, vans and more. 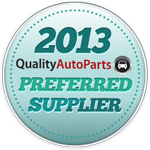 With older and newer models, we supply used parts for the public to purchase. We always have a wide range of inventory to meet all of our customers' needs. Keeping in mind that we are a salvage yard, we will do our best to help you in each and every way possible. We are located in Jonesboro, GA, a city of Clayton county. Call us or come by and visit our friendly staff today!